Earlier this afternoon, Mike posted an exclusive story about an internal war raging within Google. 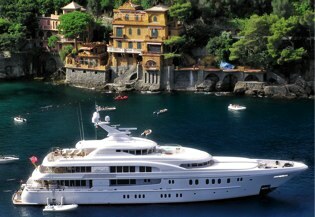 In the post he mentioned that Google revenue chief Nikesh Arora had recently returned from a two week jaunt in the Caribbean with Demand Media CEO Richard Rosenblatt aboard Rosenblatt’s yacht, ‘The Adsense‘. 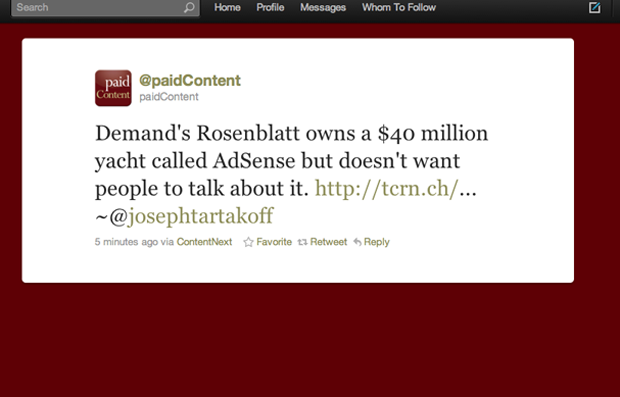 A few minutes after the post went live, Rosenblatt called the TechCrunch office and left a voicemail. Boy is he pissed. Not at any of the other details of the story — which he doesn’t deny — but about Mike revealing details of his yacht. We understand that, in these piracy-infested times, the super-rich are rightly protective of their yachts — but come on dude, it’s called ‘The Adsense‘. That’s news!